"Anthropological Explorations in Queer Theory" publicerades nyligen av förlaget Ashgate. 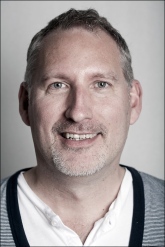 Boken är skriven av Mark Graham, docent vid Socialantropologiska institutionen. Utifrån den senaste antropologiska forskningen och klassiska teorier utforskar boken centrala frågor i samtida antropologi. 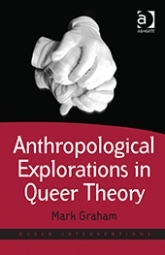 “Anthropological Explorations in Queer Theory offers a wide ranging fusion of queer theory with anthropological theory, shifting away from the discussion of gender categories and identities that have often constituted a central concern of queer theory and instead exploring the queer elements of contexts in which they are not normally apparent. Engaging with a number of apparently 'non-sexual' topics, including embodiment and fieldwork, regimes of value, gifts and commodities, diversity discourses, biological essentialisms, intersectionality, the philosophy of Bergson and Deleuze, and the representation of heterosexuality in popular culture, this book moves to discuss central concerns of contemporary anthropology, drawing on both the latest anthropological research as well as classic theories. Läs mer om boken och hur du kan beställa den. Läs mer om Mark Grahams forskning. Här hittar du fler publikationer av forskare vid institutionen.